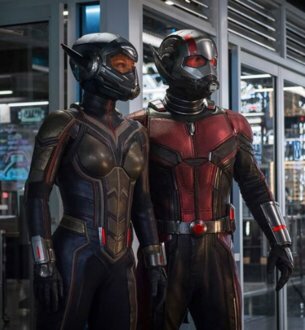 Ant-Man and the Wasp is an Upcoming Hollywood Movie in 2018, It is Action, Adventure, Sci-Fi Film and Paul Rudd, Evangeline Lilly in lead roles. This film is Directed by Peyton Reed and Produced by Kevin Feige. It is made under the banner of Marvel Studios. Ant-Man and the Wasp is scheduled to release on 6 July 2018. A little ant-shaped superhero 'Ant Man' was launched in Marvel films in 2015 and now its first sequel is going to be released in July. In this sequel, Shrink Technology will be used more than the first film and this thing gets cleared in the film's teaser trailer.